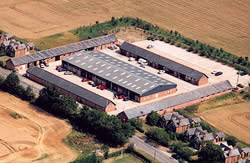 There are 35 light industrial units to rent five miles west of Cambridge near the busy M11, A14/A428 trunk roads. These were formally the livestock buildings to the Estate and are managed and let by Dry Drayton Estate Limited. The units vary from 500 sq ft to 1682 sq ft. 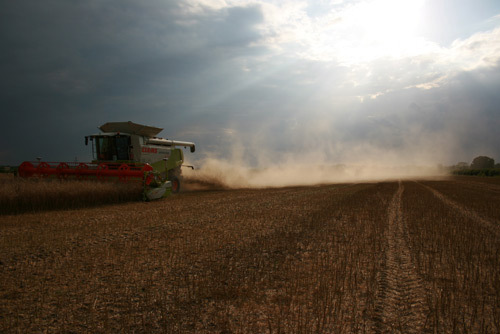 The terms are a three year lease or longer with rents negotiable excluding business rates and variable costs. All service charges are included in the rent and after the first nine months there is an option to give three months notice to surrender a lease. They are all in one complex with security barriers to the entrance and exit and are floodlit at night for security purposes. There is an ample car park at the rear of the Estate. Present businesses include kitchen designs, computer electronics, equipment hire, plumbers and electricians, photographer, tile supplier and hirers of ski equipment. 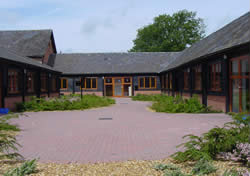 The Irwin Centre is owned managed and let by Dry Drayton Estate Limited. 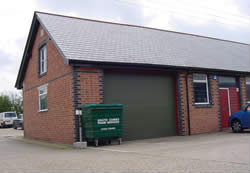 The offices were converted from unused farm buildings in 2001. They are constructed of brick and slate, set in landscaped grounds and surrounded by farmland. There are eight modern office suites, all with air conditioning, set in four blocks totalling 11,749 sq ft. Each suite varies in size from 405 sq ft to 4,842 sq ft. There is disabled access and facilities plus ample car parking. In addition there is a separate meeting room, which includes board room, small office, kitchen and toilet, which can be hired daily. 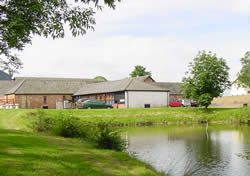 The Irwin Centre is approached via its own drive and set in peaceful landscaped surroundings, which include a small lake stocked with fish and decking area with seating. Terms are a three year lease or longer, with rents negotiable excluding business rates, variable costs and a service charge for sewerage and security. After the first nine months of a lease there is an option to give three months notice to surrender. There are currently no properties available, please contact us to express an interest or check back soon.